As incredible as the story of the Hawthorne Caballeros might be, it is not so much the story of a drum and bugle corps as it is the story of one man: James J. Costello, Jr. (“Cos“), and his half-century of dedication to a single purpose. 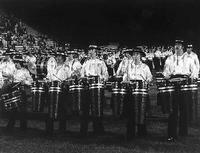 Born in Paterson, New Jersey, in 1921, Jim grew up in a drum corps family. His father, James Sr., was a member of the Pellington Post corps and the East Orange Post before joining the St. George Cadets in Paterson. At the age of eleven, Jim Jr. joined the St. George Cadets as a drummer, and continued to play with that corps until entering the Navy in 1942. After the Second World War, the idea of forming a senior drum and bugle corps was well down on Jim’s list of priorities, but there were others who remembered the fun, thrills, and camaraderie of being in a drum corps, and it was still very much in their blood. 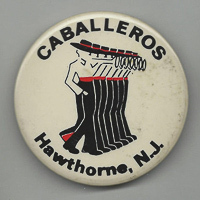 On March 20, 1946, the Caballeros were officially organized by a small group of recent veterans, former members of the St. George Cadets, including Jim Costello, his brother Bob, John McAuliffe, Joe Scarber, and George Hayek. 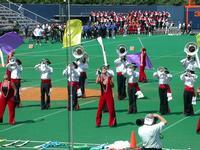 Only a few weeks later, the corps made its first appearance. The men who marched in the Memorial Day parade that inaugural year, dressed in various military uniforms, just wanted to get back into playing in a drum corps; there were no aspirations of becoming internationally famous. If you had told Jim Costello, a 25-year-old drummer at the time, that fifty-four years later he would still be the director of this drum and bugle corps, and that for the next half century it would be the most successful senior corps of all time, he would undoubtedly have told you that you were crazy! But, of course, that is exactly what happened. A primary goal of the newly formed corps was to be different from all the others. The agreed-upon corps style was Latin or Spanish, with uniforms based on the uniforms worn by a small San Rafael, California, corps. 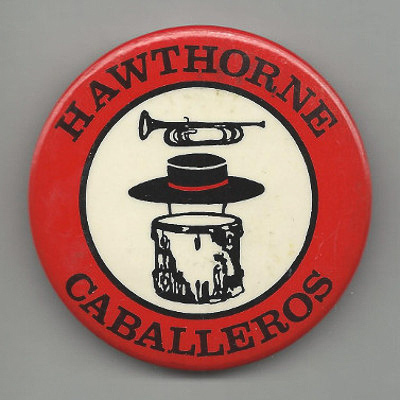 The Caballeros appeared in the now familiar Caballero uniform in their first field competition in Trenton, New Jersey, on July 20, 1947. 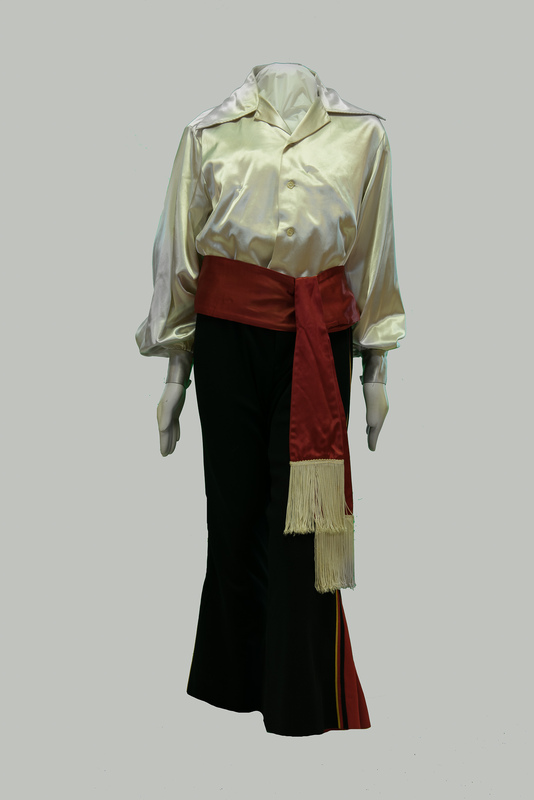 Actually more a costume than a uniform, the outfit consists of a black sombrero, a white satin shirt with bloused sleeves, a bright red satin sash, black bell bottom pants with large red pleats on the sides, black shoes, and white gloves. 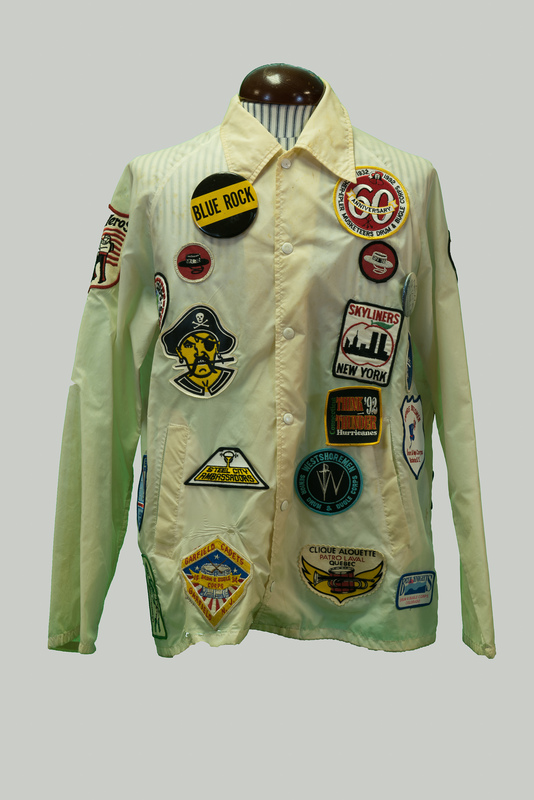 The uniform has remained virtually unchanged over the years, a testament to its timeless design. 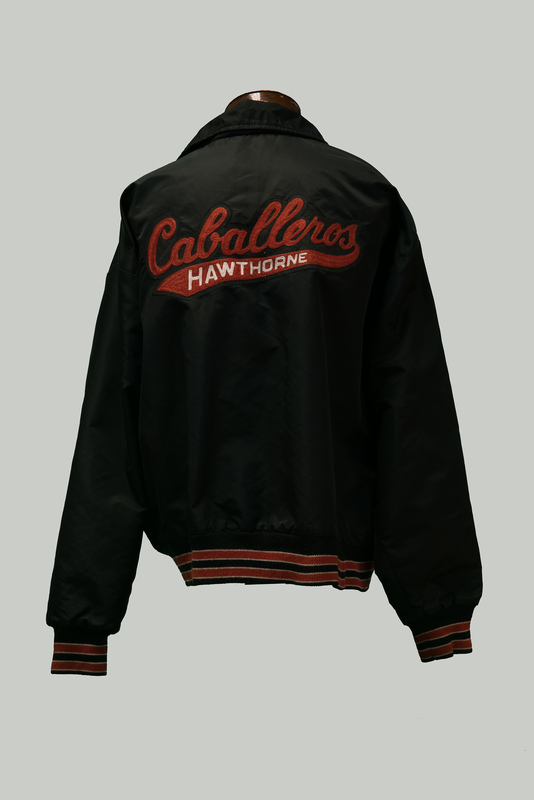 From the beginning, that uniform is the one facet that has most "sold" the Caballeros show, more than any other visual feature tieing the entire concept together. 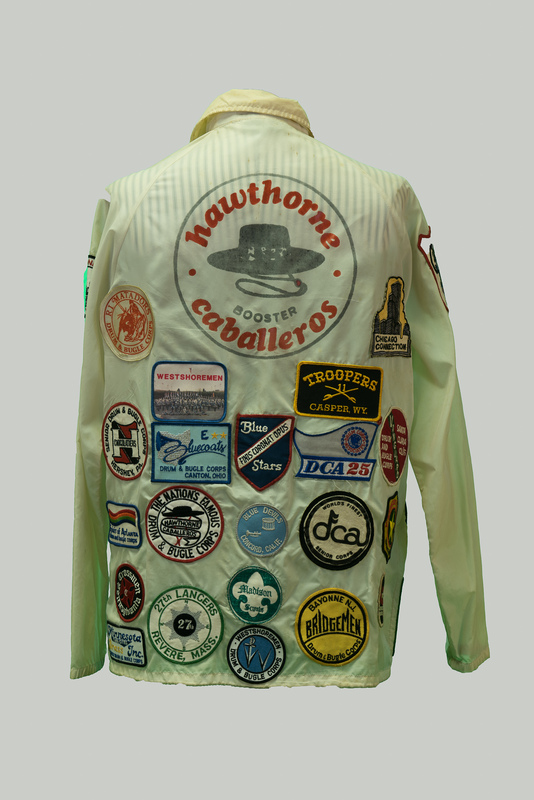 In August of 1947, the Caballeros attended their first American Legion National Championship contest in New York City, and placed eighth. 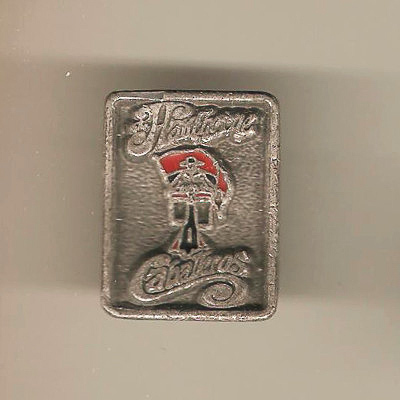 In 1948, the corps attended the Nationals in Miami, finishing fifth; but a year later, they were disqualified because they had not finished in the top ten at the 1949 Nationals in Philadelphia. A month after that, however, after some extra practice, the Caballeros won their first Legion State Championship at Wildwood, over the Jersey Joes of Riverside, the 1948 National Champions. 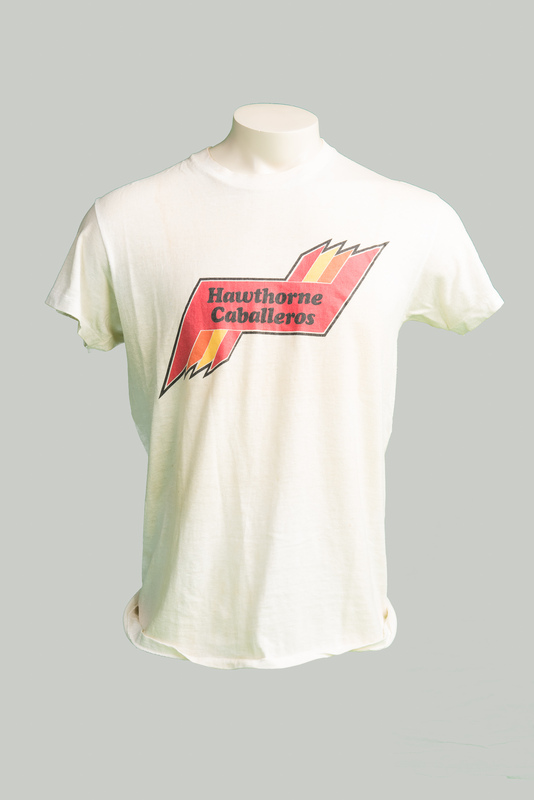 1951 proved to be a pivotal year for the Caballeros. Not only did the corps win their first American Legion National Championship, but while in Miami, they were offered a trip to Havana by the State Department. Setting records has always been the ultimate goal of any competitive activity, and drum and bugle corps competition is no exception. 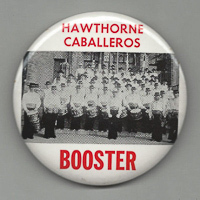 The Caballeros began setting records as far back as the fifties. 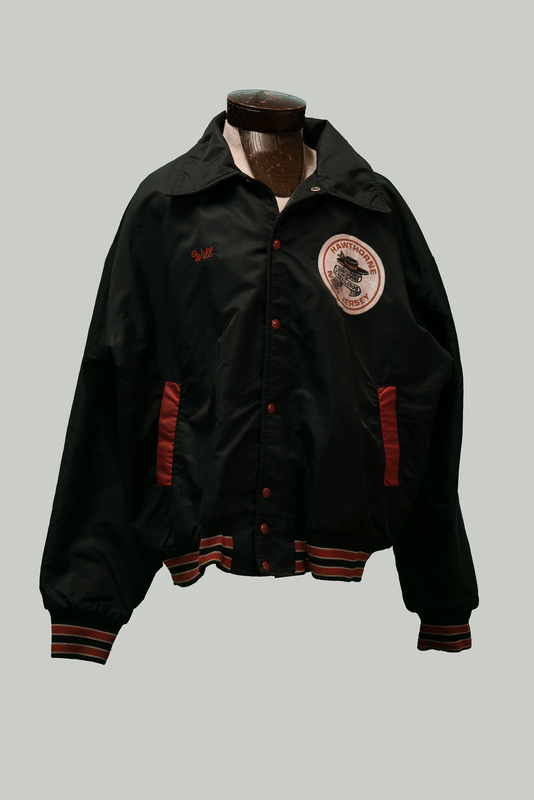 After that first win in 1951, the corps went on to capture the championship again in '53 and '54, and then amazingly from 1958 through 1964, seven years in a row. 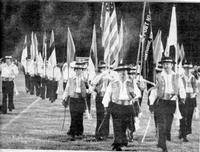 By the time the American Legion Championship was discontinued in 1980, the Caballeros’ color guard proudly carried fifteen orange flags. During the late fifties and early sixties, a growing number in the drum corps world came to consider the Legion Nationals as less than a true national championship, because of the distance and expense of travel involved and because of the increasingly hidebound rules of competition. It is to the Caballeros’ credit that they were able to attend as many Nationals as they did, but in truth, the competition at the more distant contests wasn't always that challenging. Frustrations that grew out of these two situations gave rise in 1965 to Drum Corps Associates (DCA), a sanctioning body founded by drum corps people exclusively for senior drum and bugle corps competition. Without a more dynamic sanctioning body, senior drum and bugle corps competition might well have withered and died long ago. The DCA Championship is always held at a site in the Northeast, easily accessible to most of the major senior corps, including the top Canadian corps that hadn't been eligible to compete in the Legion championship. In addition, the far more liberal DCA rules have opened up the sport, allowing innovative formats in drill and marching styles, presentation, and instrumentation, which have encouraged a wider variety of expression. 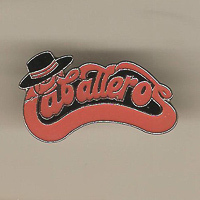 The final American Legion Championship was held in Boston in 1980, and quite appropriately, was won by the Caballeros. 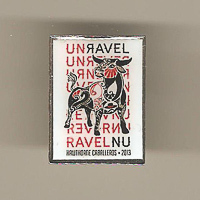 Today the DCA record book is dominated by Caballero statistics, such as the following (as of 2001): most championships (9), most runner-up placements (11), most consecutive runner-up placements (4), most championship scores of 90 or above (22), most consecutive championship scores of 90 or above (17 in the last 17 years), most high captions (26, plus two ties), longest consecutive streak of top three positions in finals (11 years: 1970-1980), and longest consecutive streak of championship wins (1972, '73, '74). 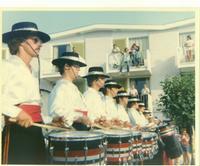 A member of DCA since 1966, the Caballeros have fielded a finalist corps every year since. Of the thirty-six corps that has competed for the DCA Championship, only one other corps, the New York Skyliners who appeared in the first contest in '65, can make that claim. Of the 35 years that the Caballeros have competed for the DCA Championship, they have placed in the top three an astounding thirty times, probably the single most impressive testimonial to their incredible consistency. 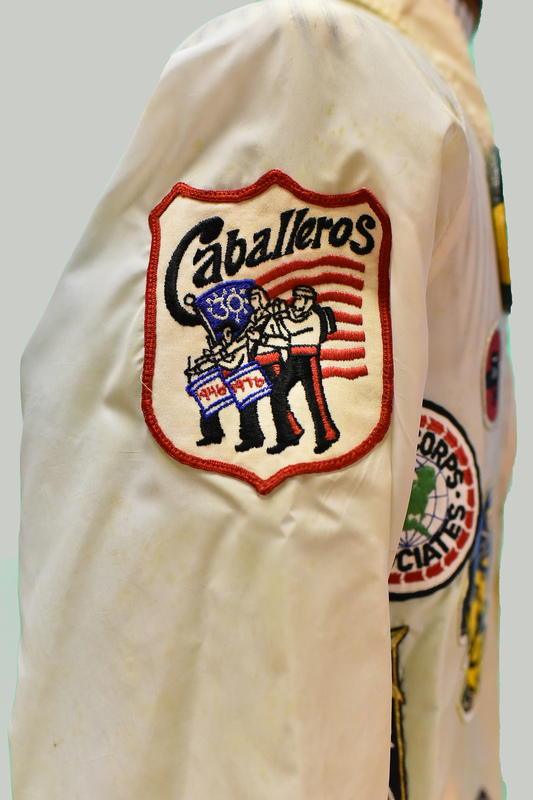 In 1961 the Caballeros became the first senior corps to complete a season undefeated. That monumental feat was repeated in 1973; and in 1984 and '85 the corps amazingly played two solid seasons without a loss! They played their fifth undefeated season in 1995. 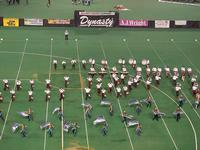 In 2002, the corps finished out of the top five at DCA Finals for the first time in 34 years. 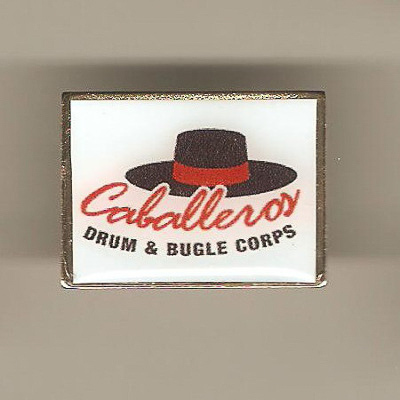 In 1989, during the DCA's twenty-fifth anniversary celebration, fans voted the Caballeros their all-time favorite drum and bugle corps, a tribute to the group's universal appeal and popularity. But perhaps even more important than all the records, awards, trophies, and accolades is the impact that the Caballeros have had on drum corps competition, not only in the United States and Canada, but all over the world. Early in their history they established a high standard for excellence in their performance on the field, but thanks to Jim Costello, they also set a high standard for sportsmanship, integrity, and professionalism. These traits have been passed along to the playing members of the corps, many of whom also teach other corps, furthering the best qualities and ideals of drum corps. 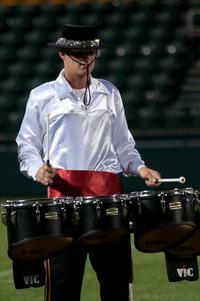 Keeping up with the trends in drum corps is a never-ending task for a corps director, and to his credit, Jim Costello possessed the foresight, tenacity, and flexibility to change with the times as styles in music, drill and presentation have evolved. He always strove to provide the corps with the best of equipment, instructors and arrangers, and he maintained an open mind about innovations that could affect the corps. 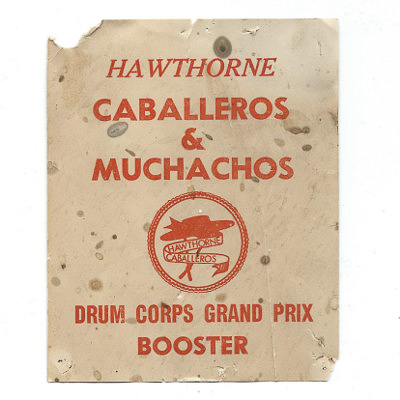 Jim Costello remained at the head of the Hawthorne Caballeros for more than fifty years, and in that time the corps has been in championship form more years than not. Jim gave of himself untiringly and unselfishly. In 1974, while planning for a trip to American Legion Championship in Miami, it became obvious that there wasn't enough money in the budget. Costello quietly took a second mortgage on his house in order to finance the trip. Costello attributed much of his success to having been surrounded by good people over the years: Bob Murray, who played in the corps during the forties and fifties, and did an exceptional job as business manager until his death in 2002; Joe Campos who marched in the corps in the early sixties, then became the equipment manager and right-hand man to Costello; Jim Russo, Ralph Silverbrand, Frank Pisillo, Bobby Peterson, Lou Storck, George Hayek, Frank Gerris, the late Bill Durborow, and many, many others. Jim’s wife Mary was the founder of the original Caballeros Auxiliary, an organization devoted to helping the corps in any way possible. Over the years, the auxiliary has raised many thousands of dollars, supporting the corps both financially and psychologically. 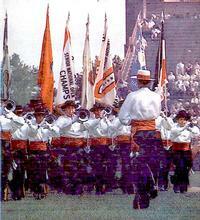 Mary's brother, the late John McAuliffe, was one of the corps' founders and its original drum major. 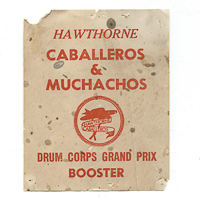 He also served as director of the Muchachos, the Caballero's junior corps, from 1968 until the corps was disbanded. It is a known fact that the Cab has traditionally rehearsed longer, harder, and more frequently than most of their competition. Beginning back in the sixties and seventies, the corps would spend a long "mini-training camp" weekend prior to Memorial Day and the start of the season at Fort Dix, New Jersey. Arriving on Friday night, corps members could count on a music rehearsal that would last until at least midnight. Saturday started at 6 a.m. in the mess hall, with drill practice scheduled for 7; it lasted all day. Another music practice followed the drill practice, again lasting well past midnight. Sunday morning was a repeat of Saturday, and the afternoon usually ended with several runs through the entire show. 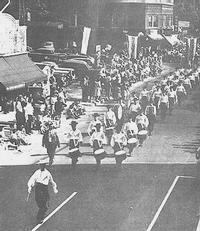 Jim Costello, wearing his trademark white baseball cap, presided over these exhausting practice sessions, starting with a refresher course in the basics of marching, then breaking down and fine-tuning every aspect of the show until it met with his full approval as well as that of the other instructors. By the end of those sessions, Costello usually had lost his voice completely, but those weekend mini-camps got the Caballeros into midseason form early than the competition. Good solid competition has always produced the best drum corps; by far the strongest, most consistent challenge for the Caballeros over the past fifty years has come from their closest geographic neighbors, the New York Skyliners. In spite of the striking difference in theme and presentation, there has always been an intense but friendly rivalry, a mutual respect, and an unmistakable bond between the two corps. Throughout the fifties, sixties and seventies, spectators at those famous Sunday afternoon "Dream" contests at Jersey City's Roosevelt Stadium were witness to this classic rivalry. 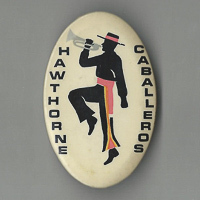 The Hawthorne Muchachos, the Caballeros' famous junior corps, was formed in 1959 to extend the great world of drum corps to younger players in Hawthorne and surrounding communities, and to create a ready pool of talent which would eventually "graduate" into the Caballeros once they aged out. 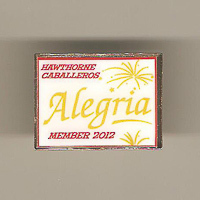 The Caballeros has also maintained a strong alumni association for many years. In 1994 the Association spawned yet another unit, the Caballeros Alumni Drum and Bugle Corps, which continues to perform. During the late fifties and sixties, there was undoubtedly no personality better known in drum corps than Ralph Silverbrand. The Caballeros’ drum major throughout the great years of the corps' first quarter century, Ralph led the corps to nine National American Legion Championships in his twelve years as drum major, and his name deservedly became synonymous with "champion.” Ralph had the distinction of being the only member of the corps to have been on the field for all 11 championships between 1953 and 1966. For over half of the Caballeros’ fifty years, Jim Russo has been at the head of the corps on the field. Jim started his drum corps career at the tender age of seven as a soprano bugler with Our Lady of Lourdes Cadets in Paterson, New Jersey. He was inducted into the prestigious Drum Corps Hall of Fame in 1993 and retired in the 2003 season after 33 years at the helm of the corps. 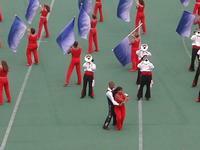 He went out on top, taking the DCA Championship Best Drum Major award. The citizens of Hawthorne are also proud of Jim Costello and the Caballeros, and have been supportive fans from the beginning. 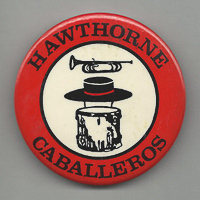 Hawthorne's former Mayor, Louis Bay II, used to say that, “Had it not been for the Caballeros, the rest of the world would never have heard of Hawthorne, New Jersey." Jim Costello passed away in January, 2001. 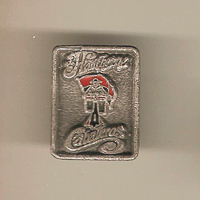 Frank Gerris was acting director in 2002, a year in which the Caballeros finished sixth in DCA Championship competition. 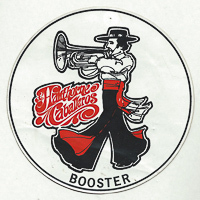 But it was in 2003 that the Men of Costello made a nearly unprecedented leap from sixth to first place with a Latin-flavored show, unseated the four-year incumbent Brigadiers and becoming national champions for the ninth time in their history. The 2004 finish was fourth. 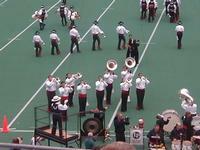 The past fifty years have not been kind to the drum corps world in general. 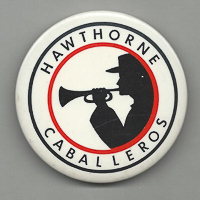 Of all of the major senior corps that were in existence in 1946, only the Hawthorne Caballeros have never missed a season in 2004; still wear the same basic uniform; and still operate under the same administration, under the same name, and out of the same home base, American Legion Post in Hawthorne. Jim Costello was primarily responsible for all of that, and for elevating the organization to what it has long since become: a class by itself. As the late DCA Chief Judge Walter Kelly once said, "The Hawthorne Caballeros are far more than just a drum and bugle corps; they are truly an institution." 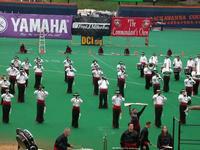 A half-century after their inception, "The Nation's Famous Drum and Bugle Corps" is not only going strong, but they're still at the pinnacle of drum corps competition, as they have always been. An extended version of the Caballeros’ history may be found at the website below.